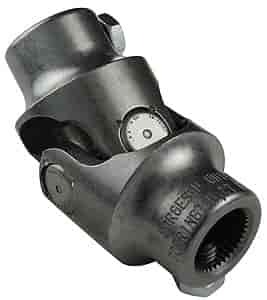 014949 - Borgeson Steering Universal Joints is rated 5.0 out of 5 by 2. Rated 5 out of 5 by Joeabb from Great! Well-deserved reputation. I used 2 U-Joints and an adapter to connect an ididit steering column to a rack & pinion front end on a '40 Ford project. Xlnt instructions, went together easily and works like a charm. Steering is terrific!